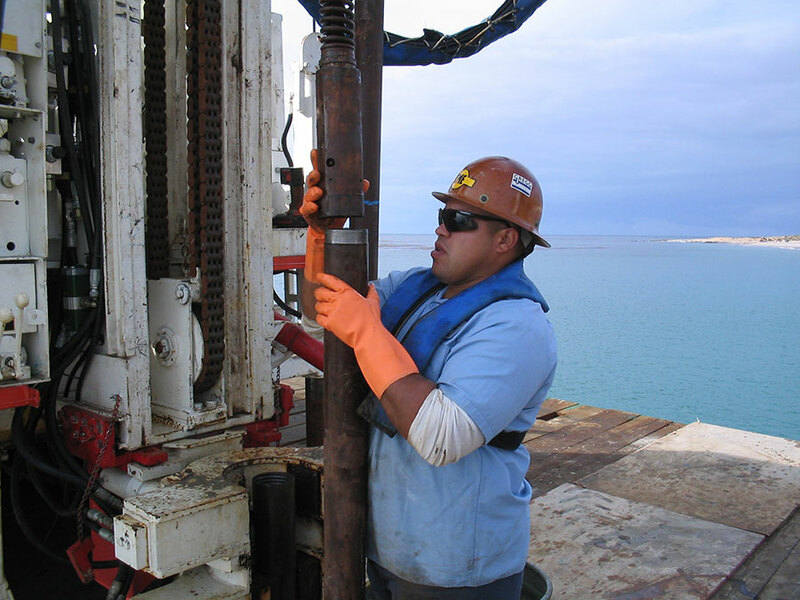 Gregg Drilling is a leading expert in marine drilling and geotechnical investigation. We own and operate an extensive array of over water platforms and marine testing equipment allowing us to provide tailored investigation services in shallow near shore waters, lakes and reservoirs. Gregg offers a range of platforms including a dedicated drill ship, jack-up boats and barges, sectional barges, and support vessels from which our marine investigations can be conducted. In addition our marine drilling & testing equipment can be operated from vessels of opportunity which allows Gregg to reduce mobilization cost and respond quickly to clients’ needs. These platforms allow for maximum flexibility to suit project conditions and can easily be deployed in most marine settings. 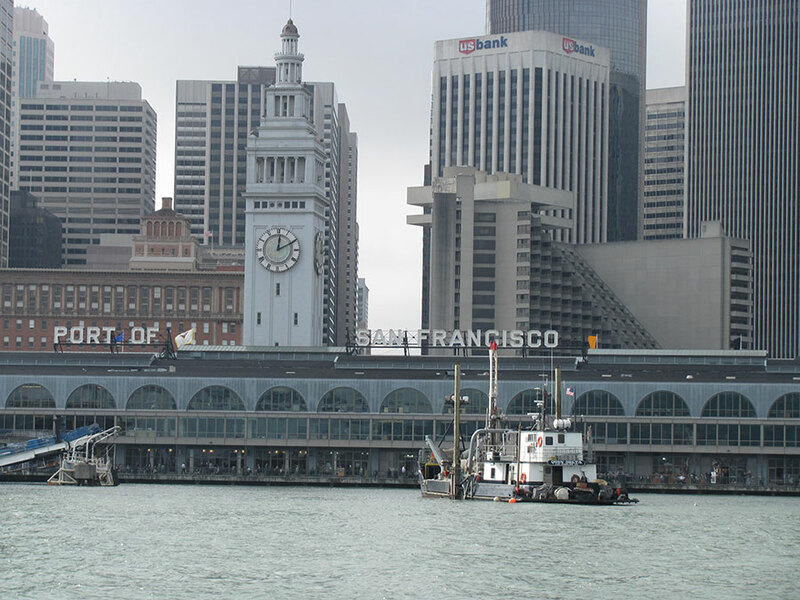 Gregg is directed and staffed by professionals with experience in industry, consulting, and research. Our personnel are highly trained, certified, and have extensive experience in site investigation technologies for offshore applications. When combined with our cutting edge technologies and advanced equipment, our team of marine specialists is able to create a seamless working relationship with each client and design solutions to address even the most complex project requirements. 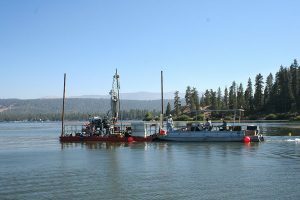 Gregg Drilling owns and operates the Quin Delta drill ship for conducting work in Ports, Harbors and near-shore environments. The Quin Delta is a self-propelled ocean-going vessel with a shallow draft of only 5 feet. 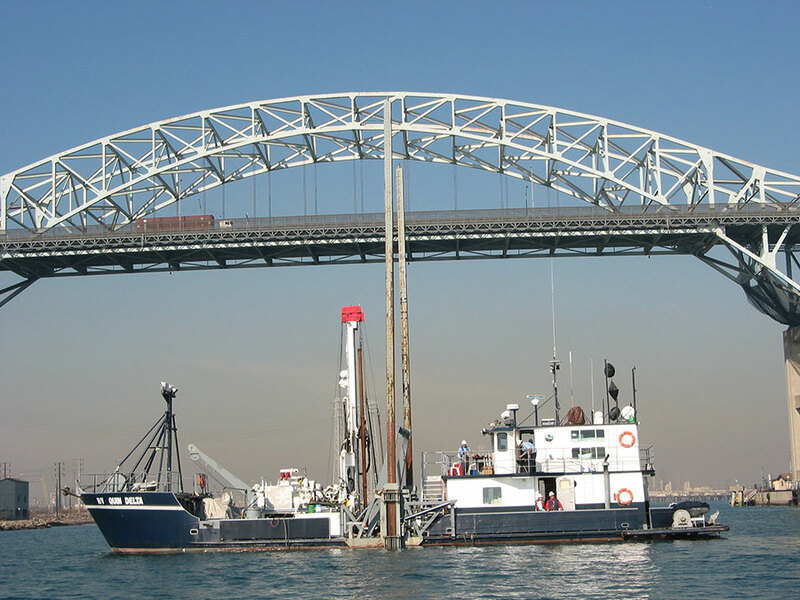 This allows the Quin to work in a wide range of locations from deep offshore waters, to harbors, rivers, and shallow inland locations and even sit on the mud at low tide to continue testing near shore or under bridges. It was specially engineered and designed with 70-foot spuds that can be used for stable anchoring in waters up to 60-feet deep. Gregg’s full time boat captain is experienced with digital GPS and can maneuver the Quin to a client’s exact testing location. The Quin Delta drill ship is best suited for offshore foundation and liquefaction studies, soil sampling and coring, and for establishing baseline conditions and determining material quantities for dredging programs. 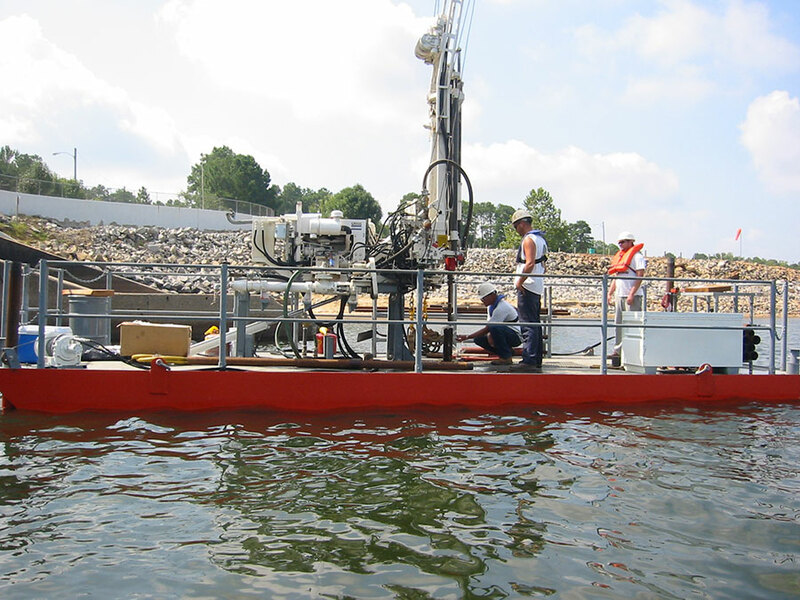 Specifically designed to operate in the waterways around ports and harbors, the Quin is your answer to drilling in near shore environments such as ports, harbors, and rivers. Gregg offers a range of platforms including jack-up boats and barges, sectional barges, and support vessels from which our marine investigations can be conducted. In addition, our marine drilling & testing equipment can be operated from vessels of opportunity which allows Gregg to reduce mobilization cost and respond quickly to clients’ needs. These platforms allow for maximum flexibility to suit project conditions and can easily be deployed in most marine settings. Drilling, Cone Penetration Testing (CPT), seismic testing and various sampling activities can all be accomplished over-water. Please contact our Project Managers for more information on what over-water platforms would be best equipped for your specific project needs.